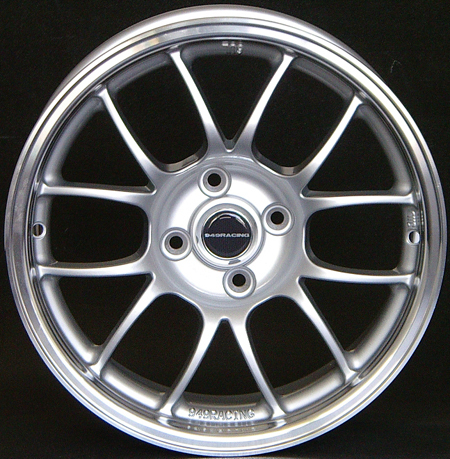 New 15x9 from Jongbloed Racing Wheels - Miata Turbo Forum - Boost cars, acquire cats. If you don't who Jongbloed is, they've been building high quality racing wheels for approaching 40 years. These wheels were designed with BBK clearance and clear the 11" Wilwood Miata kits and the 11.75" Mini kits (like some use). ET is +35. Initial color offerings are Matte Black and Silver. Custom colors are available for an extra price. Ignore the 5x130 PCD on the Rendering, it was done for some Porsche customers. Jongbloed would like the initial run to be a Group Buy format and are willing to offer free shipping in the Continental US. We need at least 12 participants to get rolling, but can have more, that is just the minimum. 50% up front, 50% when the wheels ship. Once we have enough people to place the initial order, it will take approx. ~90 days for the wheels to ship to the participants..........if we get this done soon, everyone can have them in time for the beginning of track season. $209 per wheel, again, if you participate in the Group Buy, you will receive free shipping anywhere in the Continental US for a set of 4. After the initial Group Buy, Jongbloed will keep these wheels in stock year-round. Ignore the 5x130 PCD on the Rendering, it was done for some Porsche customers. they look good. nice to see that availability is given a priority. I may get a set for DD wheels. Will they look like the render minus the bolt pattern? Or like the picture in the top right? Spoke to them today. Sounds like a great deal! 0 offset on the 10s makes it tough though. oh man this is tempting. something different and a good price. They will look like the rendering but with a 4x100 PCD. 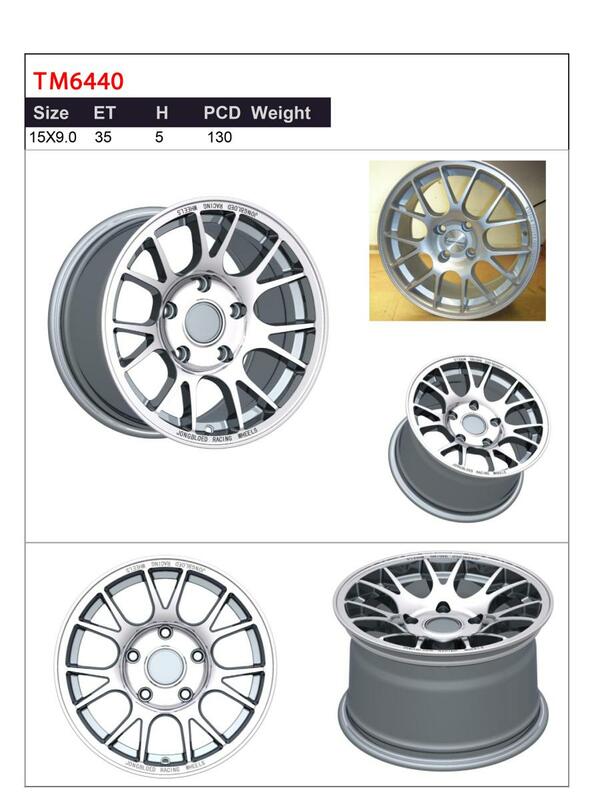 The "actual" wheel picture in the top right is the 15x7 Spec Miata/Spec E30 wheel they are currently making. Yeah the 0 offset 15x10 is for the E30 guys. For a Miata appropriate 15x10, we'd just need 12 guys interested in it. Probably a silly question, but possible 15x8 in the future? You know, for us "because not racecar" guys? so when does it start and where do people sign up?? I think we used a custom wheel from them for the Formula Hybrid car. Yes, I apologize for leaving that out of the OP. A 15x8 and 15x10 are planned, but the same thing, they want to do a GB format for the initial run with free shipping. Essentially they are asking the Miata community to show them there is a desire for this product, and once a GB is done, they will then stock the wheels. Maybe...I am saving up for Xidas, but I will need x9s in the future...we will see. seize the opportunity, shocks will still be available in a few months..
so it sounds like they will build basically anything we want if we can get 12 people? is that right z31maniac? because i would be all over a 6 spoke design, something similar to a volk te37 with a proper offset and size for track work. not trying to derail the thread and I'm not sure if you have that style, just say'in. This is the style, we are not going to redesign the wheel again. They will build the others based on size and there is already plans in the works, but we wanted to start with the 15x9. Is the design exactly what everyone wants? Probably not. Is it strong, lightweight, with BBK clearance, and relative affordable? Hell yes. For me function > form, I'm buying a few sets for track wheels. I find it slightly annoying that they/you don't give a **** enough to become a forum sponsor and actually start their own thread. The 15x9 +35 is directed at the miata crowd obviously. What I would want is something other than the beautiful but done 1000 times 6UL and the ugly *** C3M. What are these wheels radial load rated to? What is the weight? Last edited by jacob300zx; 12-03-2013 at 10:21 PM. Why such a low load rating? 600kg per wheel is low? What are these wheels radial load rated to? What is the weight? As mentioned in the OP. These will be Flow Formed 6061 Aluminum with a T6 heat treatment, have a 600kg load rating, and weigh ~13.8lbs per wheel. Weird I didn't see that when reading it last night. Yes 1300lbs is really low. I believe the 6UL is somewhere around 6-8000lbs. So just guessing but you could have a real chance of failure when combined with a race tire. 6ULs are rated to 500kg, thats the Gen III ones.